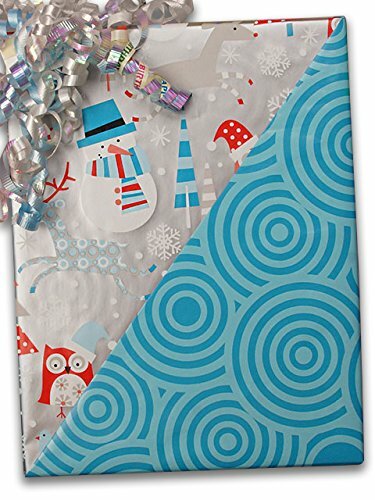 24" X 100' #x6339 Snowplay (Rever) - Gift Wrap Christmas - The lovable snowman is the main character of this collection. From cartoonish to whimsical, the snowman expresses Christmas joy in many adorable patterns. This high quality gift wrap is available in a variety of lengths and widths.Some papers are stored in our warehouse and shipped to you from California. Other papers are shipped direct to you from factories in the North East. This will be noted in your shopping cart. *Please be aware that factory direct items are not returnable. For the holidays, view our assortment of 673.